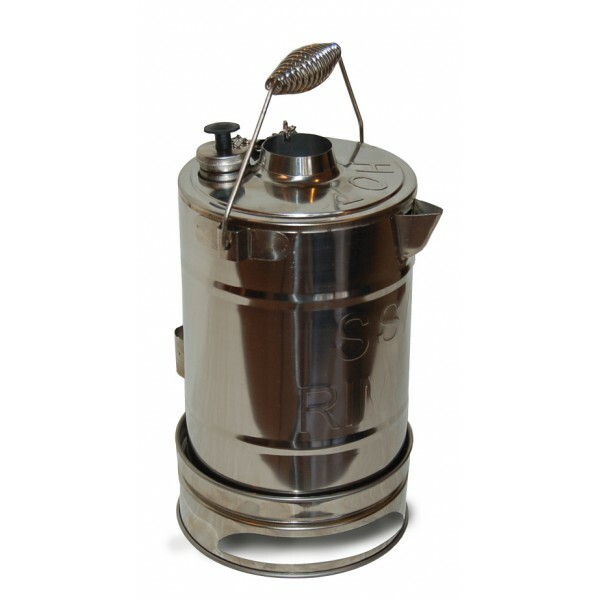 The SSAA Bush Kettle is making a comeback, being one of the fastest ways to boil water using a small amount of kindling or a LP gas burner ring. The internal concave taper allows the heat to rise up, heating a much larger surface area more quickly thus making the boiling process faster and more efficient. With the traditional billy or kettle you only heat the small bottom surface. 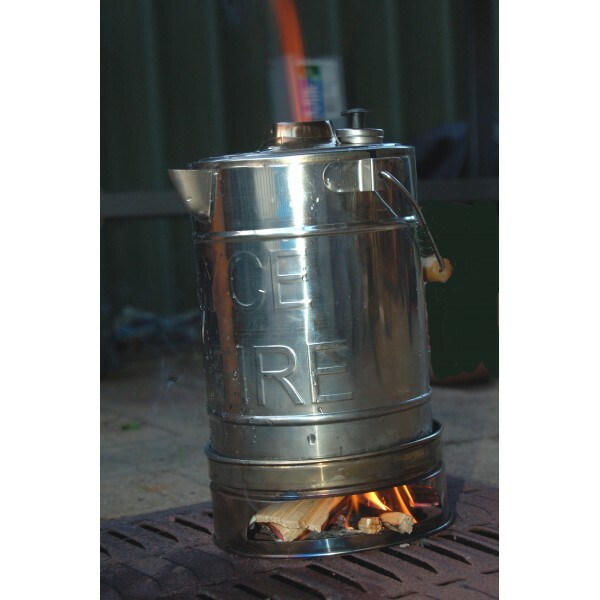 The SSAA Bush Kettle has a specially designed fire ring. This fire ring is a safety feature which contains the hot coals and embers. The unit sits inside the fire ring therefore containing the heat and reducing the risk of an accidental fire. The fire ring also forms part of the operation when using a LP gas burner ring to heat water. The most important feature with the fire ring is the ease of extinguishing the fire by simply tipping your leftover water into the fire ring, making the situation safe.